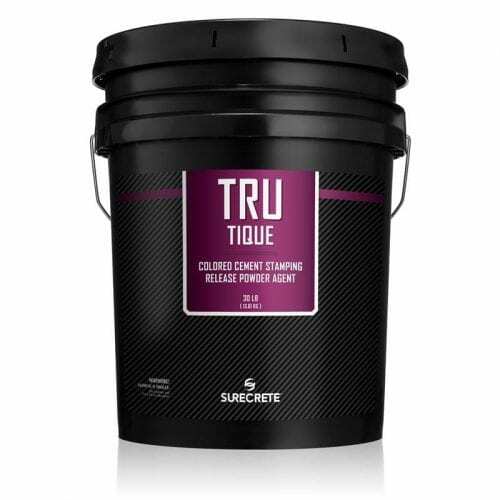 SureCrete’s stamped concrete powder release contains a specially formulated releasing agent that forms a moisture barrier between the stamping tools and wet concrete to allow the release of stamping tools. In addition to releasing agents, the powdered release contains integrated iron oxide pigments that simultaneously provide a secondary accent color to the concrete surface. As a dry shake material, it is broadcast directly on top of the concrete to be stamped. It is recommended only for stamped concrete, as opposed to stamp overlay. Powder release is fundamental to provide the release for stamping tools from concrete. The moisture barrier prevents the stamping tools from creating “puckers” at the surface that greatly detract from the finished product. 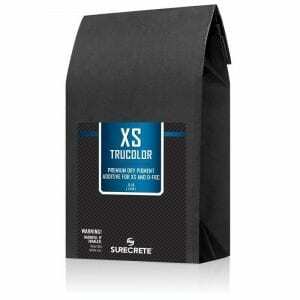 Powder release will provide the rich contrast between the concrete’s base color and the release’s secondary color. The resultant two-tone added to the realistic look and desired antique effect for many different patterns. The grout lines of grouted patterns will always reflect the antique release powder color in the preferred sharp contrast to the more dominant base color. Customarily the most realistic coloring is achieved through the application of a darker powder release color than the base color of the concrete. How Do You Apply SureCrete’s Stamped Concrete Powder Release Coloring Agent? The slab is ready when the final troweling prior to stamping is complete. Loosen and fluff-up the powder release in the pail prior to broadcasting. 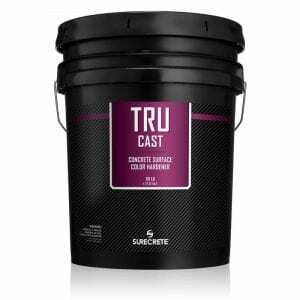 Broadcast powder release in a sweeping or casting motion evenly across the area to be stamped. Only broadcast enough powder release to stay a row or two ahead of the stamping tools. After the slab is sufficiently cured, carefully sweep up and contain excess powder release. Rinse the remaining excess with hose equipped with trigger nozzle and soft broom. How much Powder Release should I use? Answer: The generic application method described above is used to acheive the colors listed on the color chart, however this can be varied to get deeper and richer tones as desired. Why has my Powder Release stamp texture colored flooring faded? Answer: There are multiple reasons depending on the situation, but for most cases, it boils down to two main reasons: UV exposure and sealer degradation. On its own, concrete surfaces tinted with Powder Release agents will fade over time if exposed to direct sunlight, and all colors will fade if a sealer is not correctly applied and maintained. Over time, sealers fade and need to be replaced or replenished with a fresh coating.